What is Perskindol Active Spray and when to use it? Perskindol Active Spray contains essential oils which when applied to the affected area provides a refreshing cooling sensation followed by a pleasant heat sensation. The Perskindol Active Spray has a dual action: firstly it cools and soothes, then there is a pleasant heat sensation. This helps to relieve and ease the pain in the event of (sports) injuries such as: strains, pulled muscles, torn muscles, sprains and bruises. The dual action of the Perskindol Active Spray is also ideal at work and office to relax tensions in the shoulders, neck, legs, arms, and back areas, and to support the soothing and easing of stressed muscles. 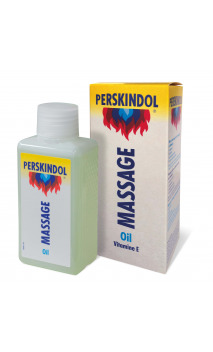 Perskindol Active Spray is recommended as part of first aid treatment in sporting injuries such as strains, bruises, dislocations and contusions. What are the contents of Perskindol Active Spray? Composition: Isopropyl Alcohol, Aqua, Menthol, Pinus Sylvestris oil, Citrus Aurantium Dulcis oil, Gaultheria Procumbens leaf oil (contains methyl salicylate), Citrus Aurantium Bergamia oil, Citrus Medica Limonum oil, Terpineol, Terpineol Acetate, Ethyl Acetate, Benzyl Benzoate, Rosmarinus Officinalis leaf oil, Lavandula Angustifolia oil, Geraniol, Citronellol, Limonene, Citral, Linalool. How to use Perskindol Active Spray? Do not use Perskindol Active Spray in cases of known hypersensitivity or allergy to salicylates or any of the ingredients mentioned above. Do not apply on open wounds, mucous membranes or on the face. Avoid contact with eyes.Do not use with bandages and do not cover. Should not be used by children under the age of 5 years. As a precaution, do not use during pregnancy or while breast-feeding. 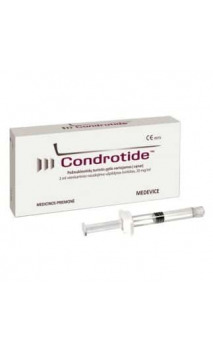 Should any unwanted side effects occur, stop the use of the product. If no improvement is seen, please inform your physician or pharmacist. Store at room temperature (15-25°C / 59-77°F). Extremely flammable aerosol. Pressurized container: May burst if heated. Keep out of reach of children. Keep away from heat, hot surfaces, sparks, open flames and other ignition sources. Do not smoke. Do not spray on an open flame or other ignition source. Do not pierce or burn, even after use. Avoid breathing spray. Protect from sunlight and do not expose to temperatures exceeding 50°C / 112°F. Perskindol Active Spray can be used until the indicated date on the packaging «EXP».